Just like anything in life, there are many different ways to create or design a new piece. 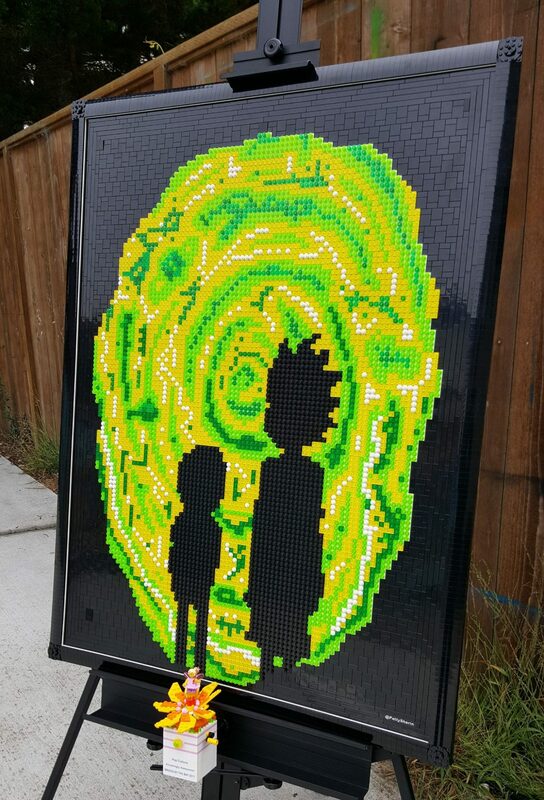 Ideas for my art come from all over, but here, I’ll discuss how I created my Rick and Morty mosaic. Inspiration for this particular piece came after binge-watching the first two seasons of Rick and Morty––a TV Show on Adult Swim created by Justin Roiland and Dan Harmon. After watching the show, I searched the Internet for something that I had in mind for a mosaic and found this image that I really liked. I can’t draw to save my life, so I used what I found for inspiration. This image came from reddit user zoidburger69. 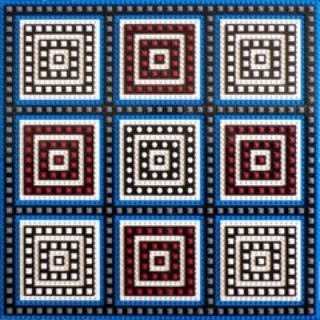 I used the completely free program called Photobricks to convert the image to a LEGO® mosaic. I decided to make this piece 3 x 4 (32 stud sized) baseplates or 30” by 40”. I used the smaller baseplates you can buy at any retail LEGO store or LEGO® shop online. As you can see, Photobricks only converts the image (left image). But I wanted something more colorful and intricate, so I fine-tuned it by individually choosing each and every color, which took several weeks of tweaking and adjusting. In the beginning of my LEGO art career, I didn’t have a large LEGO collection, so I started using what I had on hand, including plenty of baseplates. But before I started, I purchased ¾” plywood at the dimensions listed above and faux leather contact paper from Home Depot. I sanded down the plywood’s rough edges, covered it all with the contact paper and screwed the baseplates onto the plywood. To keep the baseplates from sliding around and properly spaced, I connected them all together with 16x16 baseplates and 4x4 plates. You can see the green, lilac, gray, and tan pieces on the picture on the left. I did this to stabilize the piece while I added the portal’s outline. At the time, the LEGO® retail store had the 1 x 4 curved slope on the wall of bricks, so I picked up a few large containers of them and placed them around the edges for a framed look. I also started filling in the Rick and Morty silhouette. I played around with a few different styles. At first, I wanted them to look like they were going through it, so I thought 1 x 1 round plates over the green. But I eventually didn’t like that look. At this point, I also wasn’t sure how I was going to do the portal’s border. I tried a few variations, patterns and styles, but ultimately went with all black. But I didn’t want the black background to blend into the frame, so I added white plates under the curved pieces and created a thin white line which separates the frame from the background. A simple, but distinctive detail. After the majority of the frame was in place, I played with a few different ideas for the corners. In the final picture, I forgot to add in the final pieces. So I took them off to transport since they can easily fall off and not be as easy to replace. In the image on the left, you can see how I started a pattern under Morty to see if the 1 x 1 round plate would make it look like they were going through the portal. But it didn’t really give me the effect I was looking for. 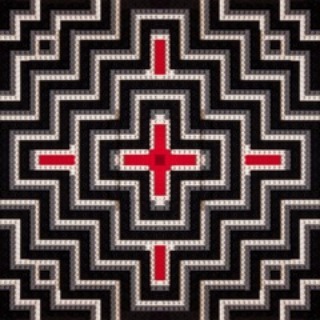 Next, I also completed the border of the portal. On the image on the right, this where I started adding in the pieces to the portal. I use Twitter for inspiration. I follow many AFOL (Adult Fans of LEGO) and KFOL (Kids Fans of LEGO) Twitter and Instagram accounts and love looking and sharing their MOCs (My Own Creations). At this point, I wasn’t very happy with the way the swirls of the portal were looking and then I saw this picture on the left. The pond was the inspiration for using translucent colors for the portal in the final version. Experience has told me that when I use translucent colors, I need to use white for the colors to pop! So I took the whole piece apart and redid it in white. I filled in the background in black and replaced the Rick and Morty silhouette in black with black 1 x 1 round plates on top to add a 3 dimensional feel to it. With the picture on the left, I was trying different colors combining solid colors and translucent colors. I also added cheese slopes to see if that would be an option, but as you can see from the final image on the right, I decided against the cheese slopes. Looking at more portals from the TV show, I noticed it had more white and yellow colors than my original design, so I replaced the colors for a lighter color palette. Finally, with all the color choices and final design settled, I got to work ordering parts. When ordering specific parts, I use Bricklink. It is the e-Bay or marketplace for ordering specific LEGO elements and much, much more. Since my Photobricks design was different than my final version, I could not use the program to give me a parts list, so I guessed at how many parts I would need. I totally underestimated 3 times! Who would have thought that I would need more than 2 orders of 1,000 1 x 1 round green translucent plates? I was on a roll building away and realized in the original artwork they had the “Big Head” from the “Get Schwifty” episode above and to the right of Rick’s head. I wanted to incorporate it and tried different ways, but it just didn’t look right so I removed it. The final change I made was converting the background from having studs on top to tiles. Every time I create a new piece, I always wonder how it will be received. I was thrilled and honored that I won Amazingly Awesome in the Pop Culture theme at 2017 Bricks By The Bay™ California Dreamin’ LEGO® fan convention. To the right is a photo of the trophy I won at Bricks By The Bay™. Creating a piece always comes with its unique challenges. There are always changes and tweaks all the way up to the end but only by working through each challenge one at a time does it finally come out great in the end. Update: This piece was sold to an art collector in 2018.